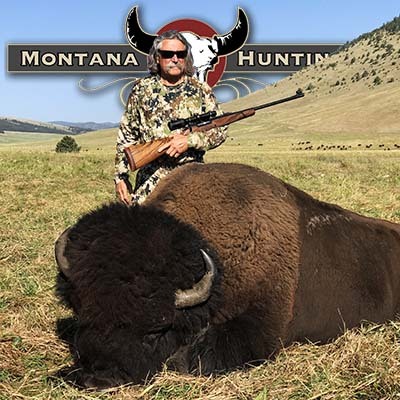 Montana Hunting Company utilizes our extensive knowledge of Sitka Gear products to provide you with a personal touch, when selecting the Sitka Gear that will benefit YOU the best! 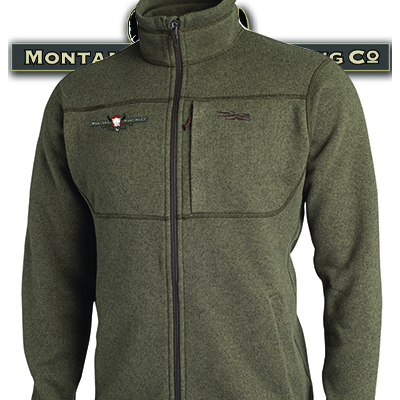 Let us show you why we are different and a more personal way to shop for Sitka Gear! MHC's Executive Manager, Karla Smith, on a successful hunt with her first Mule Deer buck. Karla is wearing her Sitka Women's Timberline pants and Women's Jetstream jacket. 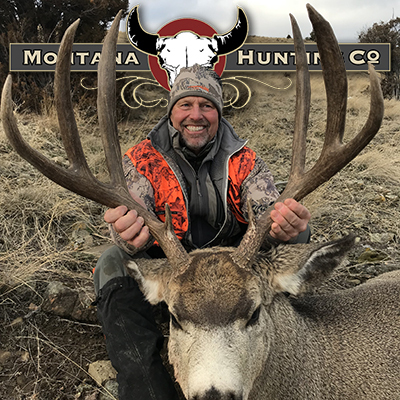 After successfully harvesting his bull during a cold and snowy Montana storm, MHC hunter Jeff Dufficy poses for the camera. Jeff stayed warm and comfortable in his Sitka Timberline pants and Jetstream jacket. 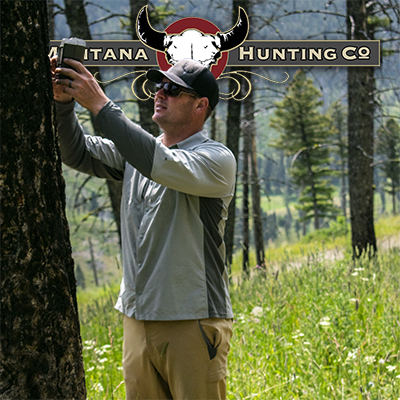 MHC Guide and Marketing Director, Eric Christophersen, putting up trail cameras during an August scouting trip in his Sitka Ascent pants and Scouting shirt. 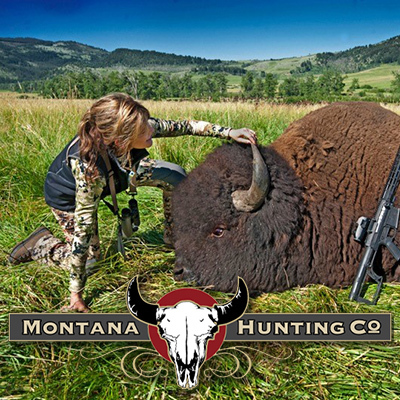 WHY TRUST MONTANA HUNTING COMPANY? 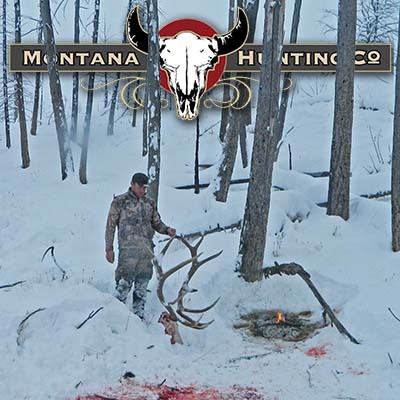 Montana Hunting Company uses Sitka Gear throughout the entire year, covering a wide array of weather and uses. From day hikes in mid-July to cold and snowy late season hunts in December, our guides and staff have put Sitka Gear to the test! 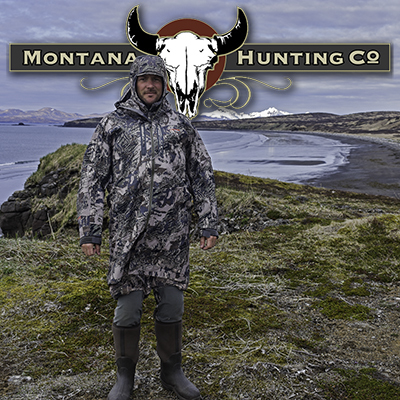 MHC and our staff are not sponsored by Sitka and we don't get gear to test and try out. Our staff and guides have purchased all the gear that they use and have put a lot of thought into what they are purchasing and how it will benefit them in the field. MHC communicates with all of our guides to get feedback on what gear is or is not working. This helps us keep a steady tab on the gear that is working for everyone, and what we can recommend to our customers. MHC Guide and General Manager, Jim Doran, glassing for brown bear on the Alaskan Peninsula in his Timberline pants, Kelvin Down WS Hoody, and Kamchatka hat. 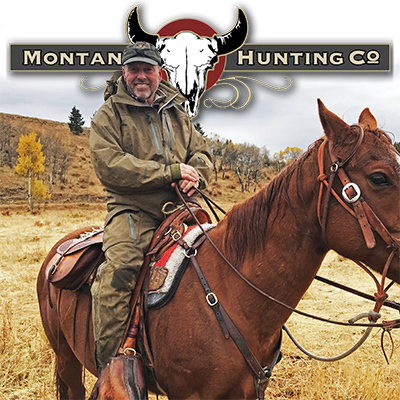 MHC President, Rob Arnaud, getting around by horseback on a wet and rainy day last fall, but staying dry in his Sitka Stormfront pants and jacket. On the final hunt of the season, MHC Guide Eric Christophersen hauls the last load up the hill during a Thanksgiving afternoon snow storm! Eric is wearing his Sitka Timberline pants, Traverse Zip-T, and Timberline jacket. THE MHC STRATEGY AND HOW IT BENEFITS YOU! 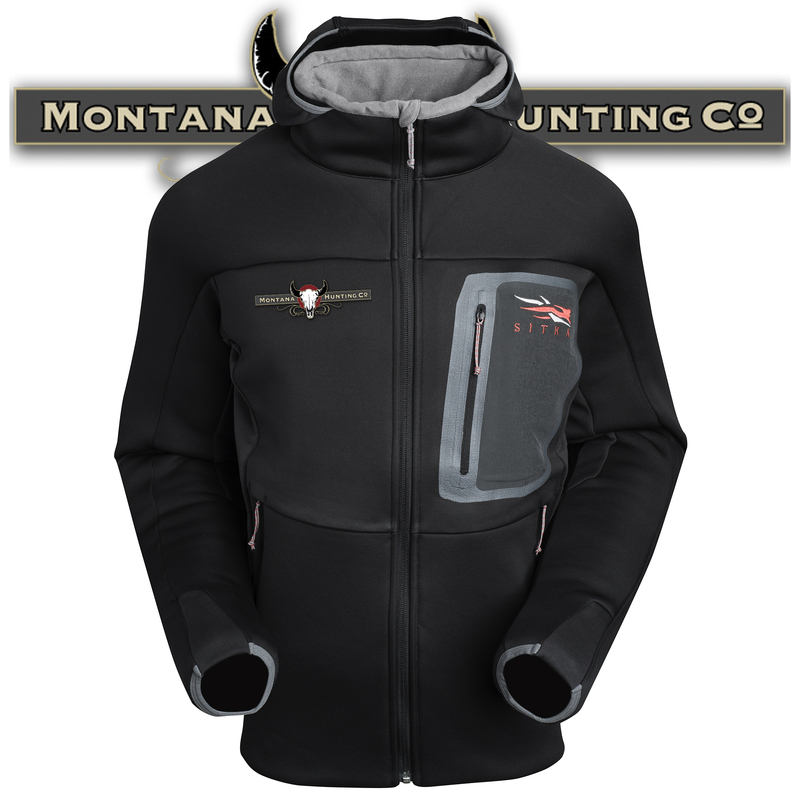 Montana Hunting Company wants to put our knowledge of the Sitka Gear that works, to work for you. 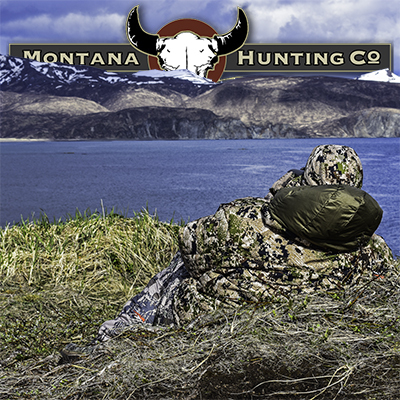 The MHC goal is to provide personal service to our customers, to help put together a personalized Sitka package that works best for YOU and the type of hunting that you'll be doing. We start out by getting some information from you and then put together a list of the Sitka Gear we would recommend. Through communication with you, we fine tune that list to suit your needs. When the perfect gear list is compiled, we make it easy to order your custom package and get your gear! 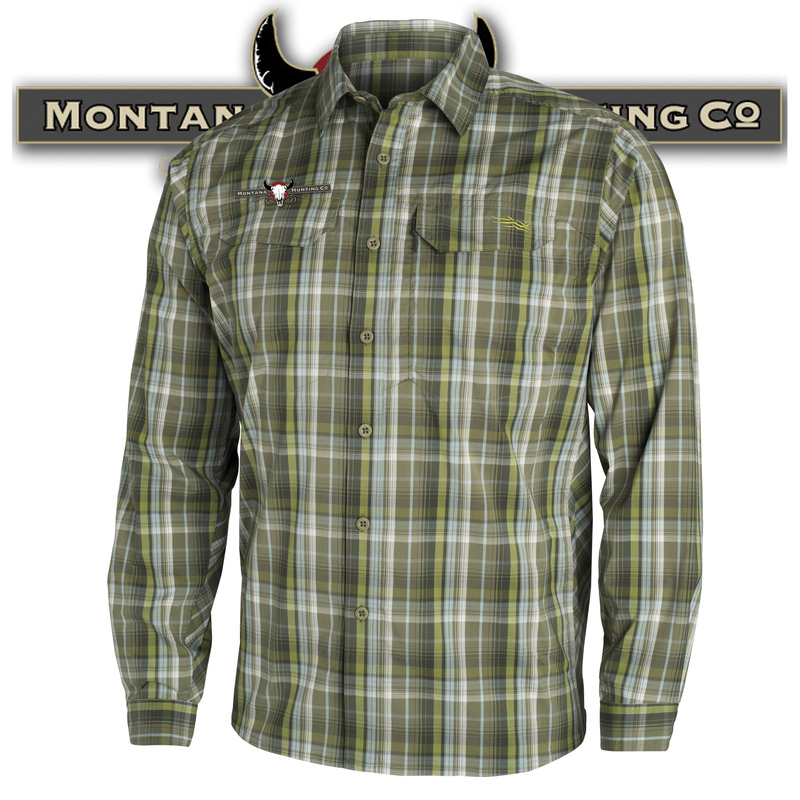 Already have some Sitka Gear and want to add to what you have? 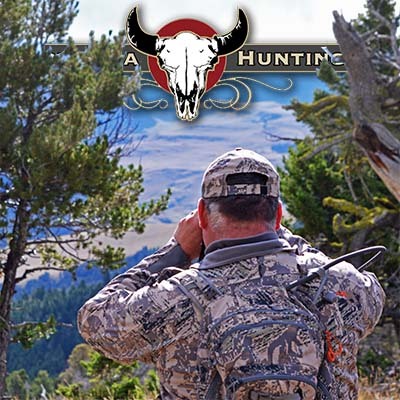 MHC can easily build a great system around the pieces you already have, that will give you a good solid system for your hunts. MHC Guide, Ray King, packing out the last load after a successful hunt on a snowy day, wearing his Sitka Core Heavyweight Zip-T and Timberline pants. 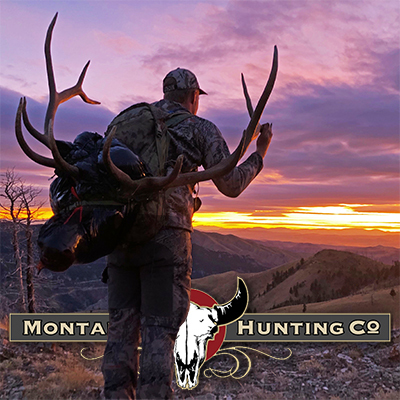 Successful MHC Hunter taking in a true Montana sunset with his pack loaded with a great bull. 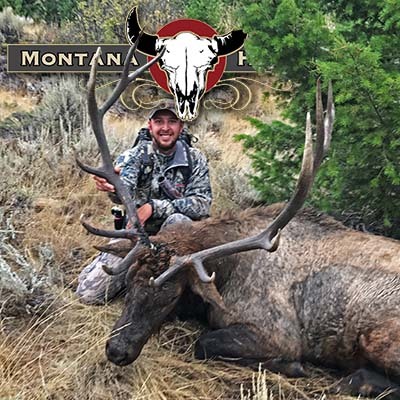 He is wearing his Sitka Mountain Pants and Core Midweight Zip-T.
A recent MHC bison hunter is checking out every bit of her trophy bull she harvested in mid July. She is wearing her Sitka Women's Timberline pants and Women's Core Midweight Crew LS shirt. 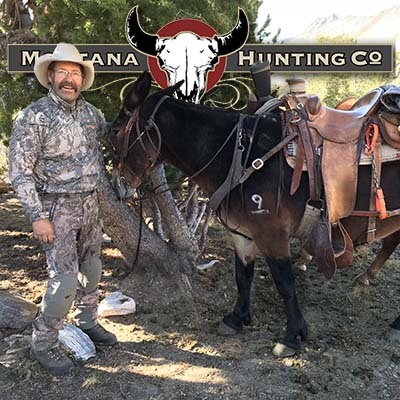 Montana Hunting Company has also been putting Sitka's new "Training, Travel, and Everyday" gear to use and it has been getting thumbs up so far! 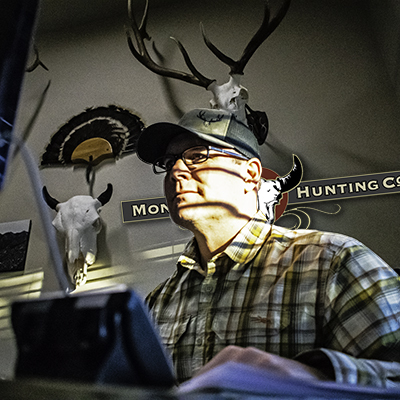 MHC Marketing Director, Eric Christophersen, checking emails in the office wearing the Sitka Globetrotter shirt. 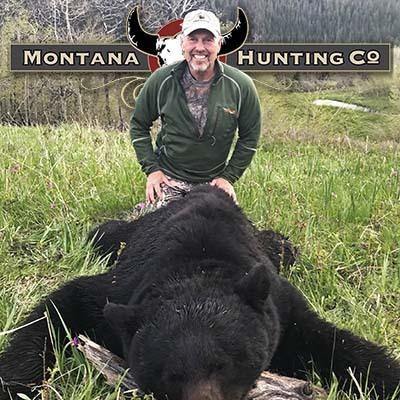 On a successful spring bear hunt in Montana, MHC President Rob Arnaud wore his Sitka Heavyweight Zip-T in solid Forest color to stay warm while stalking this bear. 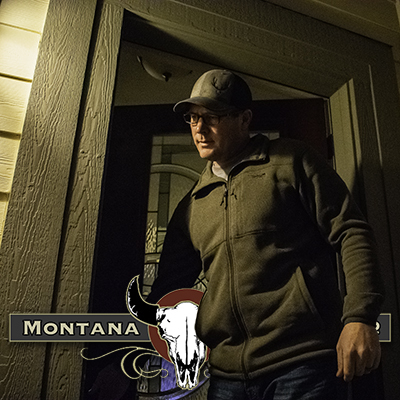 MHC Marketing Director, Eric Christophersen, heading to the office on a chilly December morning in Montana wearing his Fortitude Full Zip jacket. 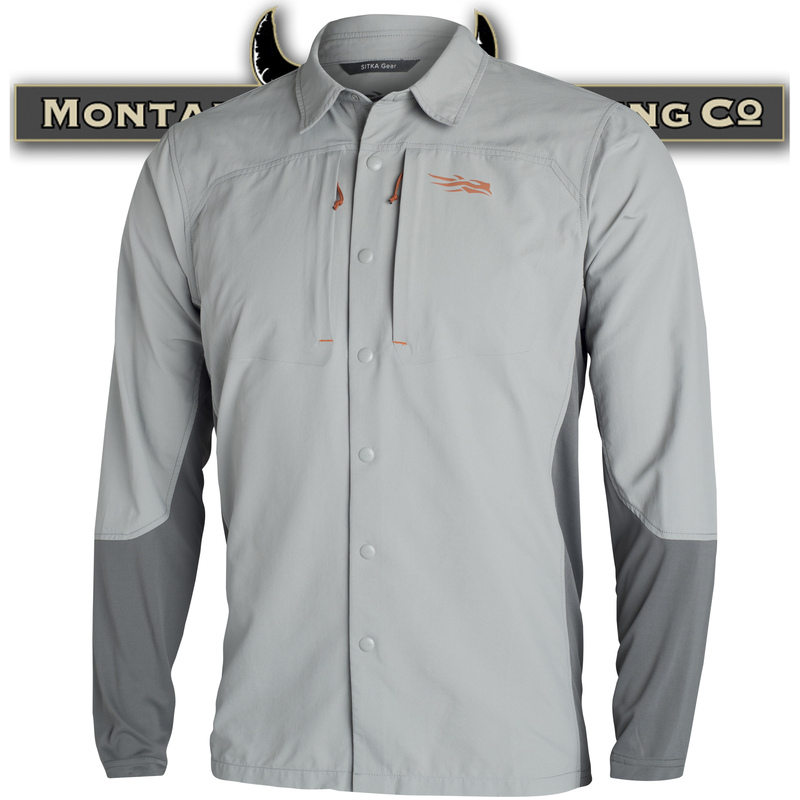 Montana Hunting Company has several MHC logoed Sitka items in store and ready to ship. If you're lookign for a great gift or want your own MHC logo piece, check out our online store today! MORE PHOTOS OF MHC STAFF, GUIDES AND CLIENTS ENJOYING SITKA GEAR! 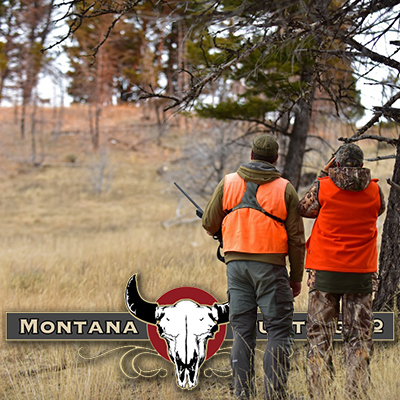 Below are more photo testimonials of Montana Hunting Company staff and clients using Sitka Gear on a daily basis. The knowledge we have for the gear is backed up by all the folks using it in all sorts of conditions. 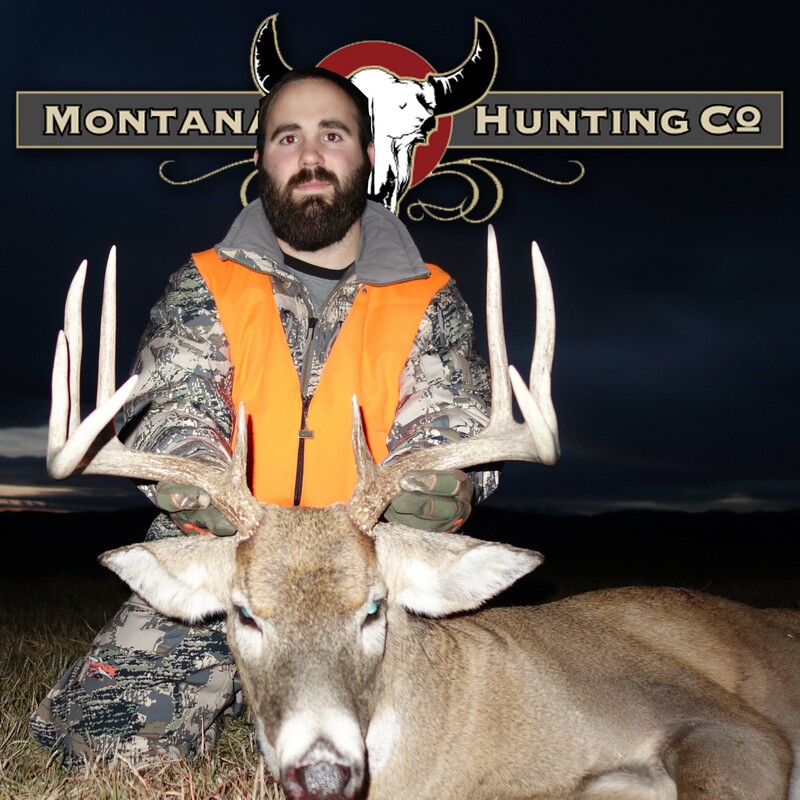 MHC Guide, Eric Christophersen, with an MHC hunter sizing up a Mule Deer buck. Eric is wearing his Timberline pants and Jetstream jacket in solid colors. 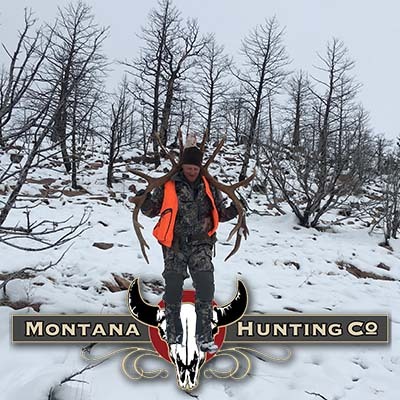 This MHC hunter stayed warm and comfortable while he waited for this big Montana whitetail buck to show himself, wearing his Kelvin Lite Jacket and 90% pants. It's always a good feeling when an animal is recovered and the fun begins! 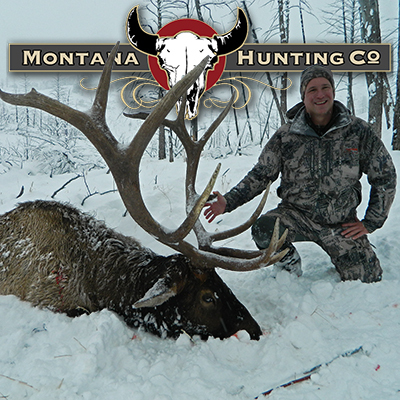 MHC Guide, Dylan Riis, gets a quick photo with his clients bull in his Sitka Mountain jacket and Ascent pants. 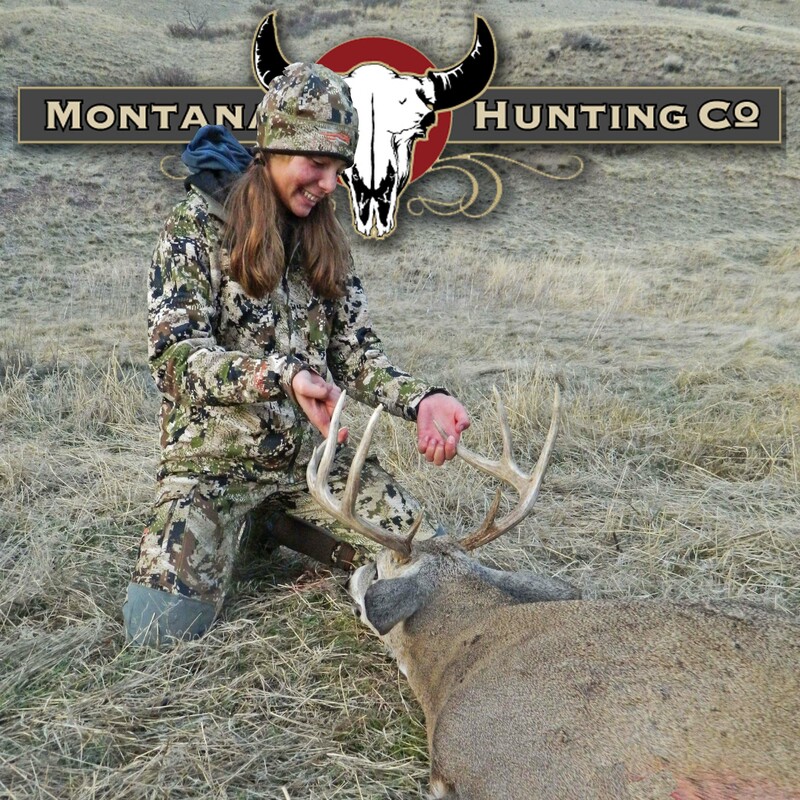 A young MHC hunter enjoying a moment to admire her first buck, wearing her Women's Timberline Pant, Women's Jetstream Jacket and Women's Jetstream beanie. 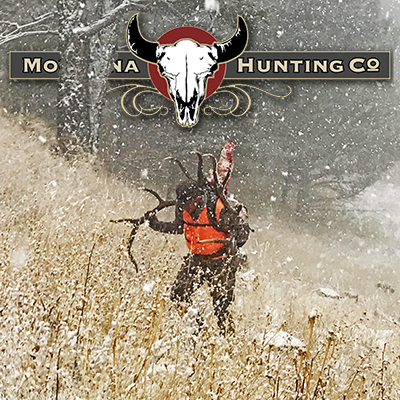 After finishing up the dirty work, MHC Guide Eric Christophersen takes a moment to reflect on a great bull and hunt in an epic Montana snow storm. He is staying warm in his Sitka Timberline pants, Core Midweight Zip-T, and Jetstream Vest. 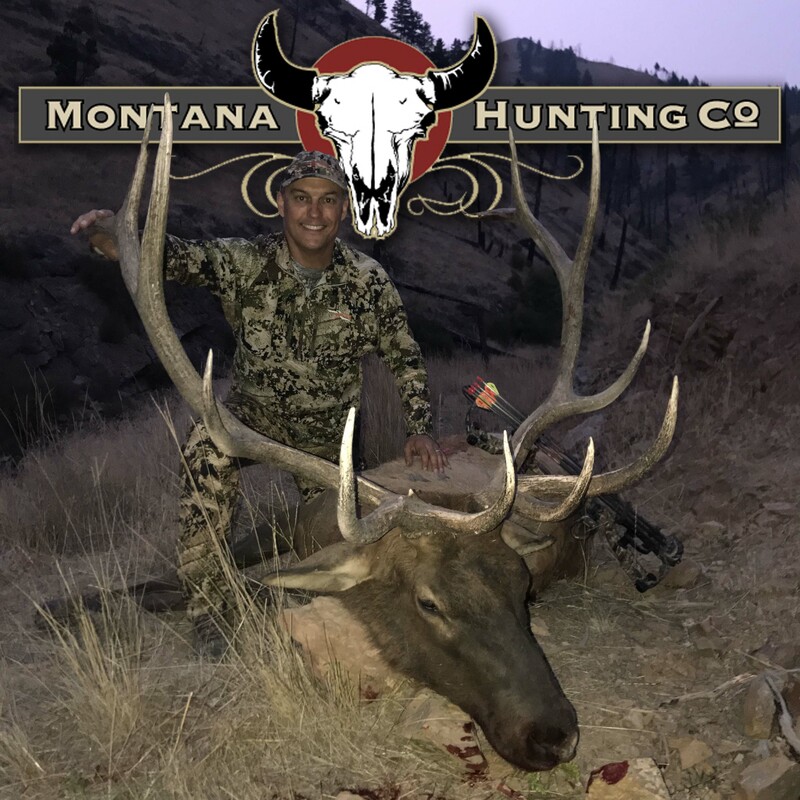 On a warm September evening, this MHC hunter stayed cool and while hunting this bull and making a great shot. He is wearing his Ascent pants and Ascent shirt. 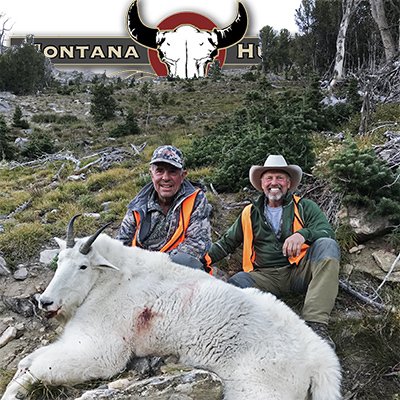 On a rare mountain goat hunt MHC president, Rob Arnaud, shares a photo opportunity with the lucky MHC hunter who took a great Billy. 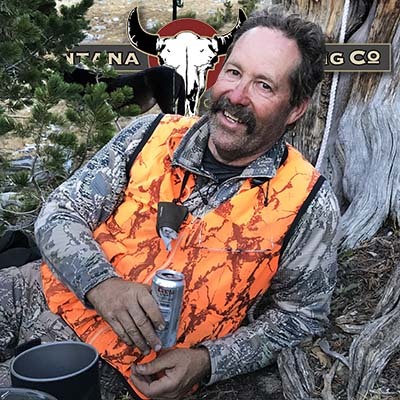 The hunter is wearing Sitka Timberline pants, Core Heavyweight Zip-T, and the Jetstream jacket while Rob has on his Timberline pants and Core Heavyweight Zip-T.
After a long day of high country sheep hunting in early September, MHC Guide Mark Anderson enjoys a cold one after returning back to camp. He is kicking back in his Timberline pants and Heavyweight Zip-T. The end of Juy can be quite warm in Montana. 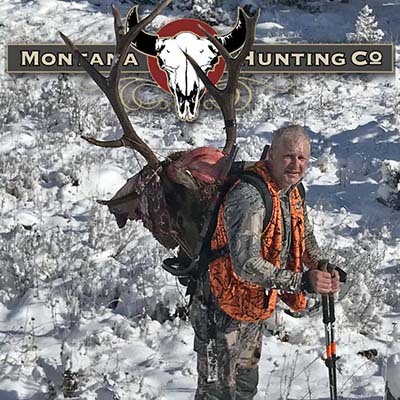 This MHC Bison hunter stayed cool and comfortable in his Sikta Ascent pants and shirt while out hunting this giant bull with us. 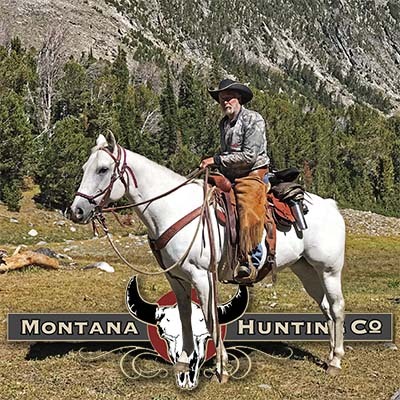 Still wearing his Sitka Traverse Zip-T in the older Mothwing Camo, MHC Guide Mark Gustafson rides into the high country for an early September mountain goat hunt. After watching his daughter harvest the bull of a lifetime, MHC client John Bishop gladly helps pack out the massive elk. He stayed warm and comfortable in his Sitka Timberline pants, Jetstream jacket, and Stormfront gaiters. After glassing for sheep, MHC Guide Mark Anderson is ready to mount up and head to another location. His Sitka Timberline pants and Heavyweight Zip-T keep him comfortable in the saddle. Above the elk, an MHC client takes a look through his glasses in preperation for an anticipated ambush as the elk come his way. He is ready for an eventual sit in his Sitka Mountain Jacket, Sitka hat and with drink and snacks in his Ascent pack. After weathering a storm on the Alaskan Peninsula in his Sitka Timberline pants, Kodiak rainjacket and Kamchatka hat, MHC Guide Eric Christophersen is ready to start the evening glassing session for big Alaskan brown bears. MHC President, Rob Arnaud, on a successful early season mule deer hunt wearing his Timberline pants, Jetstream jacket and Jetstream beanie.